HTC Vigor will be First Beats By Dre HTC Smartphone? Toshiba Satellite L505-S5993 TruBrite Laptop is such an amazing device that is packed with a number of useful features and specs. The best thing of this laptop is its supreme affordability for the students and low-income group. You can carry it anywhere with you because of its extreme portability. Whether you want to make an assignment for your final or working on the official presentation this laptop is a perfect choice for you. You are able to explore the real value of it only when you buy this and use it. Toshiba Satellite L505-S5993 TruBrite is designed with many impressive features and specs but from all I extracted 5 Best Features of this laptop so have a look! It happens many times that you want to do different tasks at the same time, in this situation only Toshiba Satellite L505-S5993 laptop proves the best option for you as it is powered with its 2.1 GHz Intel Pentium T4300 processor. Now you are free to browse, IM, download music or transfer photos simultaneously. No need to wait just do what you want to do. You are able to run multiple applications at the same time. There is no need to worry about speed loss when you have this processor in the laptop. Now surf the website at a great speed whenever you desire as excellent performance is assured through this processor. 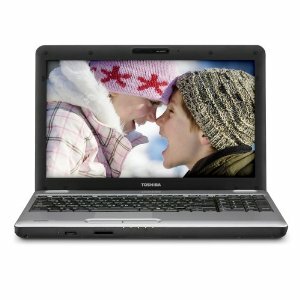 Toshiba Satellite L505-S5993 TruBrite has pre-installed with the Microsoft Windows 7 Home Premium operating system (64-bit version). It serves you in the best manner at home, school or work. Now create a home network from this laptop and then start sharing different favorite photos, videos, and music without any hesitation as you can connect it to printers and devices easily. If you miss some program then don’t need to worry as you can record, pause, rewind and watch TV through WindowsMediaCenter. Watch your favorite DVD movies on this laptop and enjoy great entertainment experience due to integration of video and Dolby audio codecs. It makes our daily life so comfortable with the mean of Aero Shake, Jump Lists, and Snap. Work with one of the easier operating systems. Manage and Edit files of your choice. Toshiba Satellite L505-S5993 TruBrite Notebook is designed with a stunning a 15.6-inch TFT displays with a resolution of 1366 x 768 pixels (native 720p for high-definition viewing). You are able to see the brighter images and more clear pics through TruBrite technology and anti-glare feature. There is no jagged edges and video artifacts on the display because the graphic card has built with Intel Clear Video technology that promise to provide the more clear and detail pictures and quality video .Video is powered by the Intel Graphics Media Accelerator 4500MHD. You never see the dark and black images on the screen. dual-layer DVD±RW drive that burns CDs. 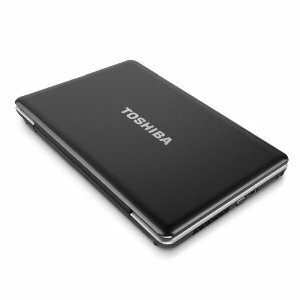 Price Check the price of Toshiba Satellite L505-S5993 notebook PC at this page. 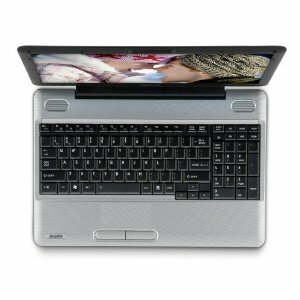 :You will get a rechargeable lithium-ion battery, AC adapter, and operating instructions with this laptop. Don’t wait anymore just go and order one at Amazon.com for you because it is undoubtedly one of the best laptops available in the market and it has the power to compete well with other laptops.